Built by Hack Kampmann. Opened 15 Sep 1900. 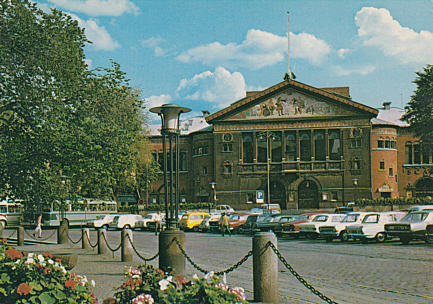 The building contains several theatre halls: Store scene (701 seats), Scala (285 seats), Studio (80-100 seats), Stiklingen (80-100 seats) and Cabaretscenen (80-100 seats). 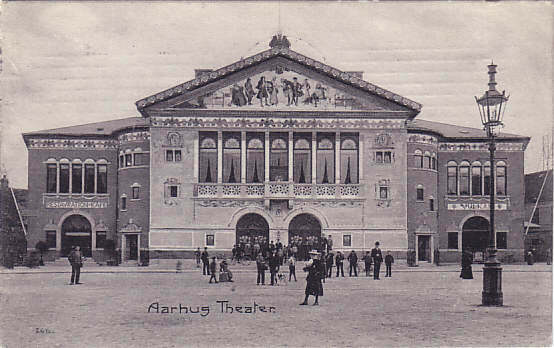 Reverse Text: "Aarhus Teater; Aarhus. The theatre; Aarhus. Das Theater"